Glendhu Station is a family owned high country station, situated 11kms from Wanaka Township. The McRae family has hosted numerous weddings over the years. 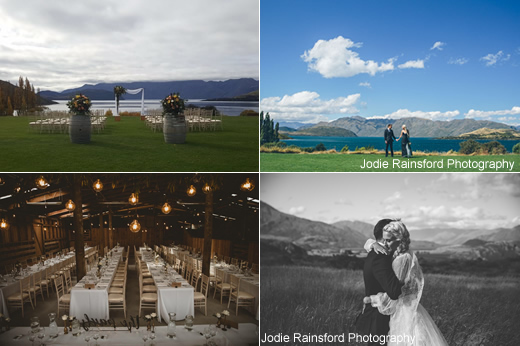 The station is a stone’s throw from the shore of Lake Wanaka, at the picturesque Glendhu Bay, and provides a stunning setting for your wedding ceremony and reception. With incredible views and close proximity to the Lake, the Glendhu Station Woolshed is in an exceptional location, providing a rustic setting in a unique historic building. The venue provides the space for you to add your personal style and allows three full days for your wedding event so you can make this happen. Supported by a reliable network of catering and entertainment professionals, the Woolshed offers the flexibility to suit your event’s needs, seating up to 160 for banquet and catering for up to 200 people for a cocktail/bar setting. Two different large spaces also mean there is an effective wet weather option should you need it. The elevated sheltered ceremony site has an outstanding view of the lake and mountain landscapes. We can accommodate standard marquees or multiple boutique tent solutions at a number of sites. For the adventurous at heart, even spending the wedding night in a bespoke tent may not be out of the question! During your wedding, access is permitted around the whole station, with historic sites and unique vantage points across Lake Wanaka, even helicopter landing points – offering unrivalled photo opportunity.